Manchester United's loss is Real Madrid's gain when it comes to Ronaldo's presence on the field. Spanish newspaper Marca reports that Arsenal had been courting both Ronaldo and Alexis Sanchez but once Sanchez signed, the urgency to bring Ronaldo on board faded. 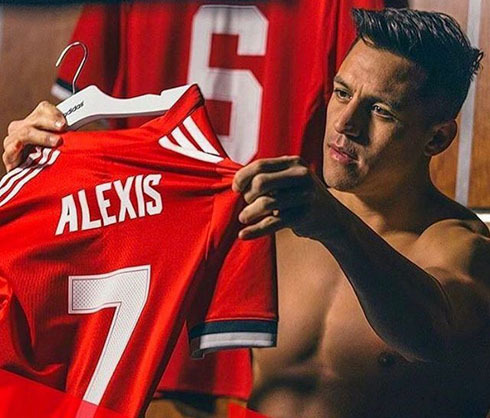 As he arrived to Manchester, Alexis Sanchez was handed the famous United number 7 shirt. 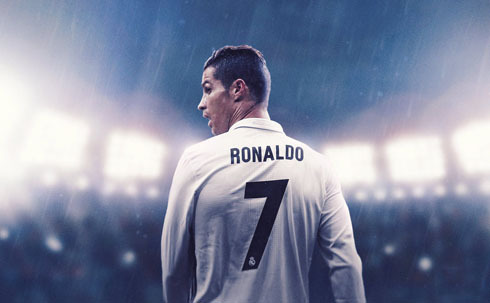 Ronaldo's old jersey was worn by many of UK football's greats including David Beckham, George Best and Eric Cantona. Dutch winger Memphis Depay was the last player to wear it and Ronaldo had hoped that he would put it back on when he returned to Man United from Real Madrid. But it's Sanchez who will be on the field with with the number 7 on his back, likely facing Ronaldo when Old Trafford plays Real Madrid in the coming games. Up until last week, Alexis Sanchez was being courted by a number of teams but, his preference was Manchester United and the club responded by signing the talented Arsenal striker. Sanchez himself is looking forward to playing under José Mourinho, who is presenting him with Ronaldo's former number 7 jersey, representing Manchester United's satisfaction at his presence with the team. Mourinho has always admired Sanchez as an Arsenal player and now that the opportunity took place, it was imperative for Manchester United to bring him to Old Trafford. Alexis Sanchez is set to walk away with a boost of £450,000-a-week as a Man United player. The former Barcelona forward has been playing in the Premier League with Arsenal since moving from Guardiola's team in Spain back in 2014. He enjoyed his best season right before his Manchester signing, increasing his 16-goal debut season, for a 24-goal season in 38 Premier League games. Rumors say that his rapport with his teammates deteriorated this last year and both he and the Arsenal management were ready for him to make a move. Sanchez said goodbye to his Arsenal team-mates on Friday before heading off to Man United's headquarters. The trade occurred early that day, when Henrikh Mkhitaryan agreed to move in the opposite direction. Sanchez is known as a powerful, physical and direct runner. He shoots with power and cuts inside at lightning speed. Manchester United has been gunning for Sanchez for seven years and now, and with a £30M contract (which comes out to more than £300,000-a-week), they can look forward to four and a half years of his field action. Sanchez, known as the 100mph man, will need to do more than play free online slots on the field. His status as the new number seven puts a lot of responsibility on his shoulders. Fans won't be pleased if the management keeps him sitting on the sidelines, saving his strength for the big games. He'll need to learn to obey the 60 mph speed limit as he leads Man United back to glory. Real Madrid seems pleased to have Ronaldo's presence for at least another season. Ronaldo is a 5-time Ballon d'Or winner and he won his most recent one last year, at the age of 32. He is known as a phenomenal player who gives his all in every game. Ronaldo turned 30 in 2015. He has said publically that he has changed his game in order to manage his body. For this reason, he backed off from playing as a winger and became a striker. After winning another Golden Shoe he said: "I'm different now, I'm more of a penalty-box player, not so much of a winger anymore. Because you score more goals from there, so I changed my position slightly. It's been a natural change and it certainly kept me happy." Zinedine Zidane speaks to Cristiano Ronaldo on a regular basis. "I speak with Cristiano all the time and I know him very well." In May, following an incredible season in which Ronaldo scored 10 goals in five knockout games, thrusting Real Madrid to back-to-back Champions League glory, he said: "He knows that until now he has been playing 60-70 games a season and that the accumulation of all those years mean he needs to rest a little. All I know is that players need to rest, especially if they want to arrive at the final stage of the season in top condition." In May, Ronaldo was suspended for five matches when he pushed a referee who ejected him from a Spanish Super Cup match against Barcelona. 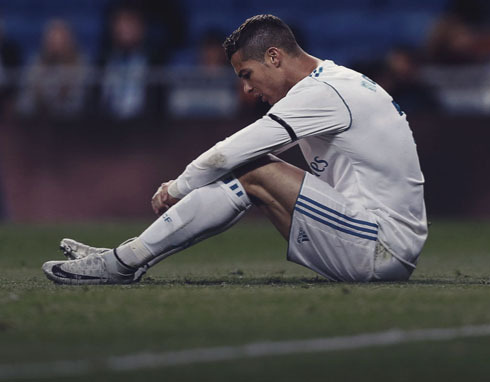 That ban meant that Ronaldo was forced to miss the second match against Barcelona and the first four games of the Spanish league season. That incident stemmed from the first-leg Super Cup match, when Ronaldo fell into the penalty area after colliding with Barcelona defender Samuel Umtiti. Umtiti appealed to the referee for a penalty. De Burgos Bengoetxea, the ref, decreed that the tumble had been a dive and awarded Ronaldo a yellow card for simulation. With that 2nd yellow card of the game, Ronaldo was presented with a red card that removed him from the match. Ronaldo then seemed to shove De Burgos Bengoetxea which led to the suspension. Despite Ronaldo's absence, Real Madrid went on to win the match 3-1. The suspension resulted in Ronaldo needing to sit out for the Super Cup's second leg. A 3,805 Euro fine was also imposed. These kinds of players and these kinds of events are what make this game so exciting. Cristiano Ronaldo next game for Real Madrid is on February 3 of 2018 against Levante. 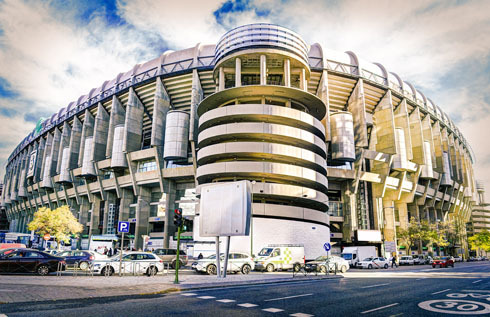 You can watch Juventus live stream, Levante vs Real Madrid, Barcelona vs Alavés, Cardiff City vs Manchester City, Chelsea vs Newcastle, and AC Milan vs Lazio, all matches provided from our streaming and live football game pages.